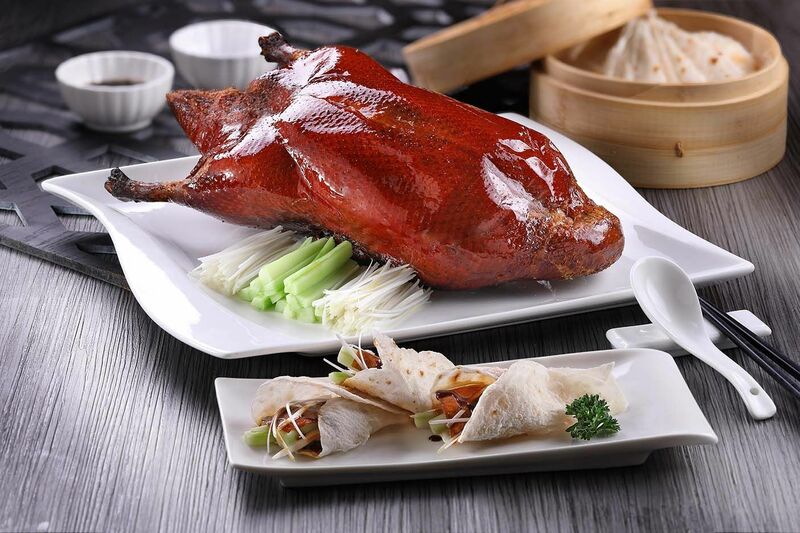 While Peking duck isn’t an unusual option, the rendition here stands out from other versions in town; it has a light, flavourful, waxy skin, while the pancake roll is served with some meat instead of just skin. Also light on the carb counter is the sautéed lettuce stem with xuecai. This dish is fried to the point of perfection with the stems still firm, yet tantalisingly tender. Another scrumptious choice is the steamed egg white with caviar. Complementing the meal is the stellar and attentive service.